It was amazing!! We had such a great time. Honestly, it was awesome. The flights were on time and everything ran to plan. 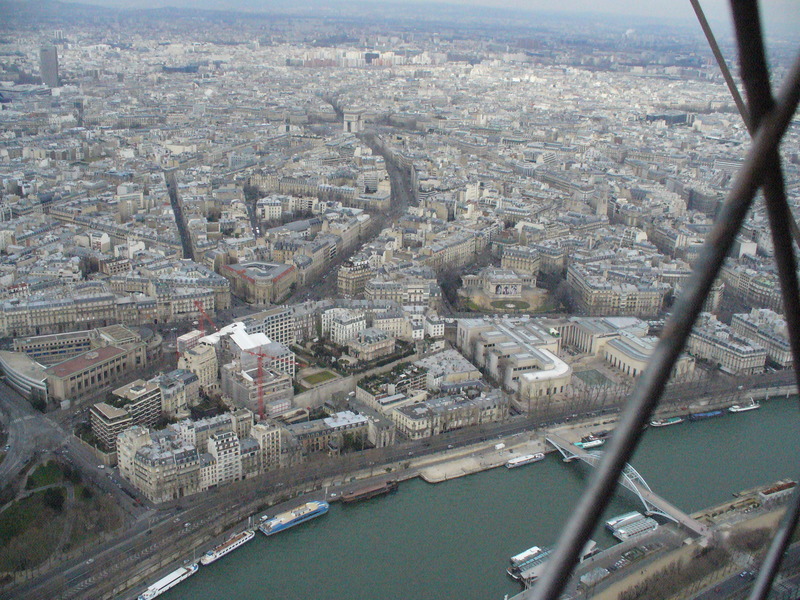 We went up the Eiffel Tower and the view was unbelievable. 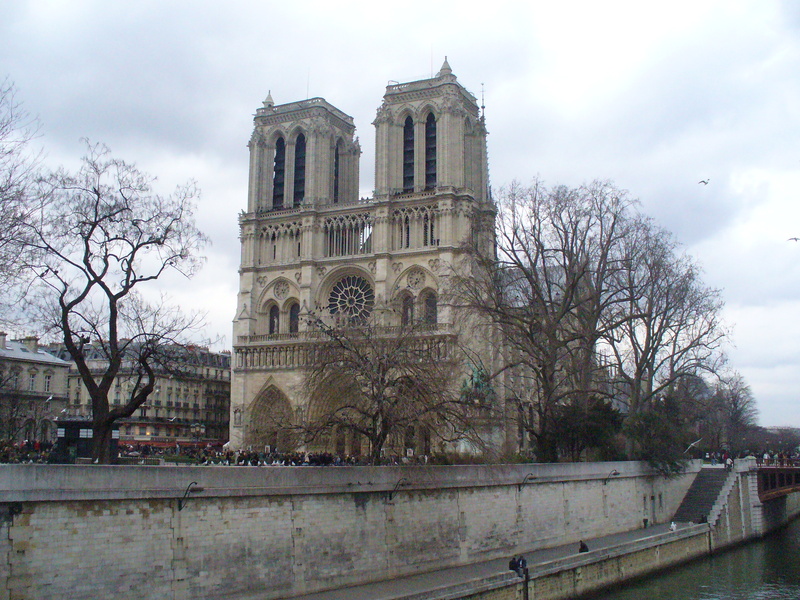 We saw the Arc de Triumph and The Louvre and The Cathedral of Notre Dame. We had dinner at a cafe and I drank hot chocolate from La Maison du Chocolat which was, by far, the best hot chocolate I’ve ever had! 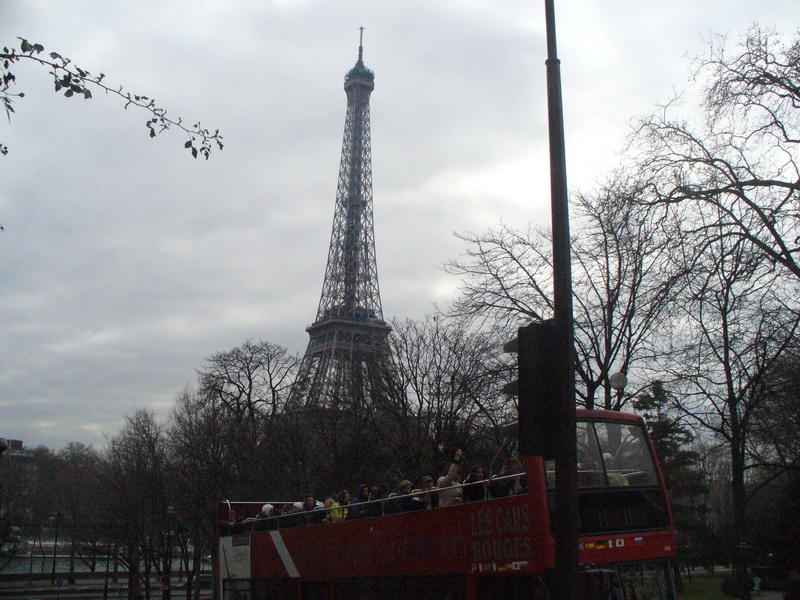 There were Parisian (although not as many as you would think) and there was tourism going on the whole day! There was even an incident involving a baguette and salted butter. It was fantastic. I wish we could go more often. Ah – c’est la vie!! 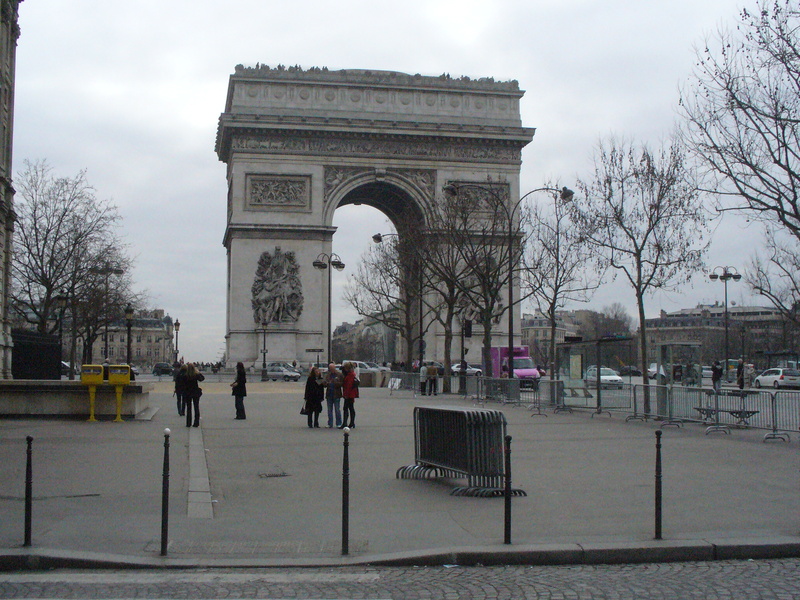 I thought I would post a few pictures from the last trip to Paris. 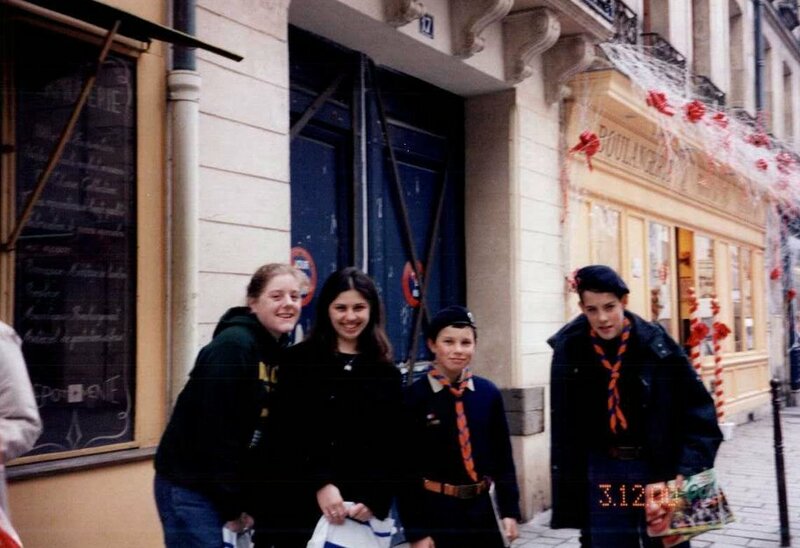 Me and Alison with the French schoolboys. Look at their ties. I know, right? I have no idea where this is, but there you go! So, I hope the next post about Paris will be photos from this most recent trip. Apparently Kate has picked up a few phrase books. I don’t know why, I speak excellent French. Pardonnez-moi, puis-je avoir un chocolat chaud, s’il vous plaît? Je sais que nous sommes grands, mais pas, vous ne pouvez pas aller à la maison avec nous. I do not have a good relationship with France. Ask Alison, she’ll tell you. 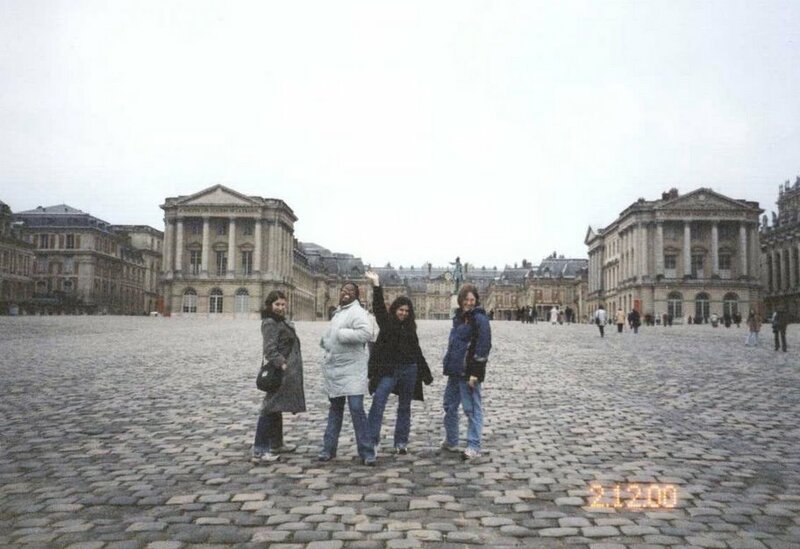 When we were at Edgehill Alison and I went to Paris for the weekend with a few of our other Study Abroad pals. We took the train to London, then met the Tour Operator in London from whence we sallied forth on our adventure. Tour bus from London to Dover, ferry from Dover to Calais then back on the tour bus for the drive to Paris. Once we arrive in Paris it was a night time boat tour on the River Seine. How lovely, how beautiful… At the end of the three days (four days? I can’t remember…) it was a repeat of the bus-ferry-bus-train fiasco which we took on the way to Paris. It would have been an amazing weekend, really, if I hadn’t caught the worst stomach flu EVER which decided to rear it’s ugly head on the train to London. Man, was I sick. Sick, sick, sick. The stomach bug was exacerbated by the fact that someone on our tour bus smelled very strongly of body odor. And then there was the ferry, which wasn’t the smoothest ride in the world. And in the evening there was the river tour of Paris. Not the best idea, by far. I still have fond memories, though. Sara B wearing my t-shirt which read “I’m an American, pickpocket me!!”. Alison and I taking a picture of two random French schoolboys dressed in their highly entertaining school uniforms. Seeing the Louvre. Seeing the Eiffel Tower. 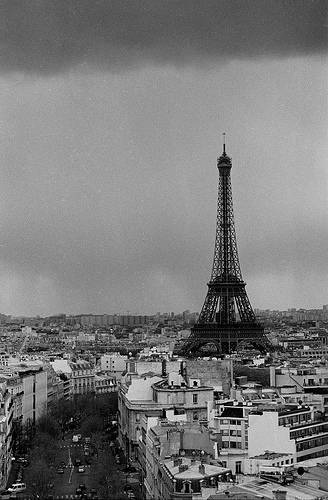 This time when I go to Paris I am not going to get sick. I am NOT going to get sick. If you are wondering about the references, they are from French Kiss, the movie my mom owns. So, it’s T- minus 11 days to Paris and it is going to be fantastic. Hello. Welcome back after your long and unexplained absence. How have you been? We’ve missed you. Oh, wait. Strike that and reverse it. I am sorry I have been away so long, and on such a cliff hanger. S and I went to Egypt on our honeymoon (more on that later) and when I came back I lost my job. So then I spent the next week frantically searching for a new job, then I started my new job. All this while still having no reliable source of Internet at the house. Unless piggy-backing off of someone’s unsecured wireless network counts, which I don’t think it does. Anyway. FM Construction went into administration which means it has gone bust. Bankrupt. Belly-up. Whatever. So not only do I no longer have a job there, I don’t get the benefit of a notice period with pay, or any redundancy pay at all (mostly because I am an American and don’t qualify for “government assistance”). So I had a week off after our week in Egypt during which I registered for a temp agency and was assigned to a job. Not a bad turnaround in this market! So I am working as a temp at Land Engineering in Fenwick, waiting to be taken on permanently. It’s 4 miles from my house and I would get a raise. Not a bad situation in this market!! Other than that there is no news, really. Oh, wait, yes there is. I’m going to Paris! Actually, I am not going on my own, I am going with friends, so it should read We’re going to Paris, but I didn’t want you to assume the “we” would be S and I, because it’s not. It’s Kate and Julie and I.
We’re going to Paris for the day on Saturday March 7th. We’ll leave Glasgow at 7am and get into the centre of Paris by 10:45. In order to catch our plane we need to leave the centre of Paris at 8pm and we’ll arrive back in Glasgow at half past 11. Including all taxes and airport fees it comes to £16.20 per person. Isn’t that awesome? Yeah, I thought so. So we’re going to Paris for lunch!!! I’ll keep you posted, I hope, more frequently now that things have settled down some.